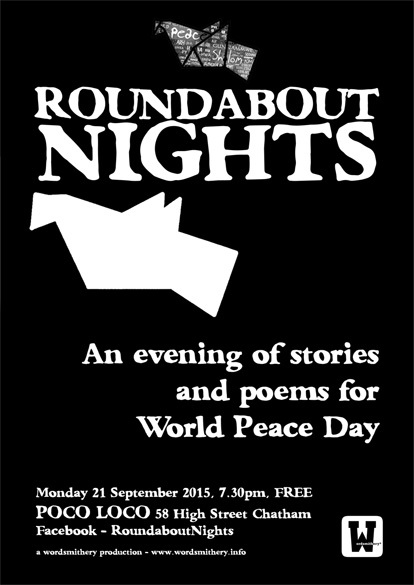 As part of Medway’s World Peace Day activities, we are holding a peace-themed Roundabout Nights on 21 September at Poco Loco. Those wishing to take part should contact us on the Roundabout Facebook page – otherwise turn up and we will do our best to fit you in. A slightly sad tinge to Roundabout Nights this week, as we learned earlier that week that Terry Pratchett had gone off to walk with Bill Door and Binky. So we read a few stories from Sir T, and heard the wise words of Barry and Sam Fentiman-Hall, Neil R Wood, Sam Rapp, Lisa Vigour, Sarah March, Chris Van Beck, Maggie Drury, and Zack Davies. Photos below from Man in the Attic Photography. And goodbye and thanks for all the fish to the Recreate Project and POP gallery, which is coming to the end of its run at the end of March. AND NOW YOU MUST WALK WITH ME…. We came, we read, we listened, we acted, we applauded. The first night of Roundabout Nights at the Alex in Chatham was a sample of the type of events we will be hosting as part of this regular Monday night of literary delights. You heard: Barry Fentiman-Hall reading poems from City without a head and various other poems. Deborah Klayman performing her monologue about a stalker ‘Lock up your sons’. Dylan Oscar Rowe reading poems and a short story. Ali Kemp and Deborah performing an extract from Sam Fentiman-Hall’s play ‘Randomly Accessed Memories’. Sophie Williams performing her poems. Deborah, Ali and Georgina Panton peforming Whoop’n’Wail’s short play ‘My Bloody Laundrette’. And Phil Kane performing poetry and storytelling. 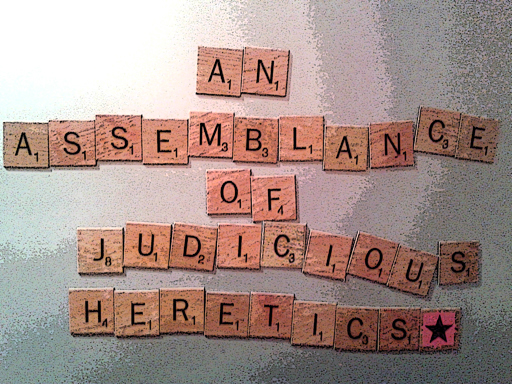 Come and join us on Monday 4 August – where it’ll be the turn of She Writes.